Present-day anthropologists see their mission as fighting injustice, not discovering objective truth. In the decades after WWII, anthropologists carried out ethnographic field research in the Middle East inspired by a scientific spirit to discover the cultures of the region and their dynamics. Among those who produced sound, grounded research were Fredrik Barth on the Basseri nomads, William Irons on the Yomut Turkmen, Lois Beck on the Qashqa'i confederation, William Lancaster on the Rwala Bedouin, and A. S. Bujra on Yemen. I had the privilege of carrying out field research among the Baluchi tribes of Iran. However, anthropologists, including those studying the Middle East, gradually moved away from a scientific perspective toward a more subjective and politicized view. They were influenced in part by Edward Said, who in Orientalism (1978) argued that Western accounts of the Middle East were fabrications invented to justify imperialist invasion, colonial imposition, and oppression of local peoples. This "postcolonial" view blames Western imperialism for myriad problems worldwide, a view that neglects the cultures and agency of people around the globe. This intellectual revolution has infected anthropology (among many fields) with a dangerous, self-contradictory nihilism that rejects the possibility of objective Truth toward which we may move and posits many different truths held by different peoples — all equally valid. Yet they behave as if their belief in many truths must be treated as The Truth that must not be questioned. Anthropologists insist on the relativity of knowledge, except when it comes to their own statements, which they take to be The Absolute Truth. Marxism, postcolonialism, and radical feminism are the principal approved paths to enlightenment in anthropology today. One should not, however, expect anthropologists who believe in "many truths" to encourage a diversity of opinion within their university departments. Intellectual homogeneity is enforced, with Marxism, postcolonialism, and radical feminism the principal approved paths to enlightenment. Classical liberal beliefs in markets, liberty, and individual rights are verboten. So, today, is the once-regnant faith in science itself rejected as the best way of uncovering the truth about anthropologists' subjects. Witchcraft, oracles, ancient religious systems, voodoo, and just about any pseudo-science that denies the validity of Western systems of thought are championed as equally valid paths to knowledge in fields from botany to medicine. Of course, anthropologists still employ the latest products of scientific research and live as affluent Westerners, but they do not claim that the way they live conforms to their beliefs. This abandonment of objective methodologies underscores anthropologists' belief that their discipline is not the science of humankind as upheld by its original practitioners, but a subjective, political commitment to a "praxis" that will liberate the world's oppressed. 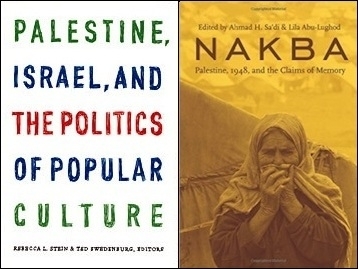 The result is deplorably partisan, faux "anthropological" accounts by notoriously partisan writers, such as Palestine, Israel, and the Politics of Popular Culture, edited by Rebecca L. Stein and Ted Swedenburg, and Nakba: Palestine, 1948, and the Claims of Memory, by Ahmad H. Sa'di and Lila Abu-Lughod. Yet past and current "praxis" in such places as the USSR, Eastern Europe, the People's Republic of China, North Korea, Cambodia, and Cuba, and its consequences for the people concerned, holds little interest to anthropologists. The same moral and intellectual incoherence underlies anthropologists' insistence that they do not study culture and cultures since these are invalid concepts from a bygone age. 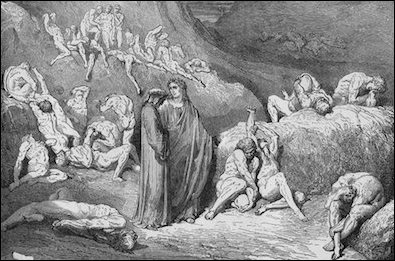 Rather, anthropology's mission is the study of victims and their oppressors. Among the many "victims," Palestinians are awarded pride of place, their century of violence against Jews and their public commitment to refuse any compromise or cooperation with others notwithstanding. Israeli Jews, on the other hand, are often characterized by anthropologists, using "postcolonial" Leninist terminology, as "settler colonialists" even though Jews are the indigenous population of Israel, including Judea and Samaria (the so-called West Bank), are agents of no metropolitan home country, and originate as much from the Middle East, Asia, Africa, and Russia as from Europe and North America. Anthropology has jettisoned the objective, scientifically-grounded study of human cultures. Such is the inevitable result of contemporary anthropology, which has jettisoned the objective, scientifically-grounded study of humankind's cultures in favor of advocating for selected "victims" of supposed Western perfidy. The outcome of this abandonment of the search for Truth is not a plethora of "truths," but a regnant false Truth that reduces scholarship to advocacy and demands blind adherence to approved yet false narratives. If anthropologists hope to restore the integrity of their field, they must abandon their intellectually flaccid, morally corrupt habits and readopt the scientific objectivity toward their subjects that marked their discipline from its inception. Philip Carl Salzman is a professor of anthropology at McGill University and a fellow at the Middle East Forum. This essay was sponsored by Campus Watch, a project of the Middle East Forum.